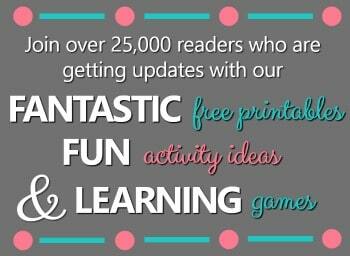 This week for Discover & Explore our theme is Dinosaurs & Fossil Fun. 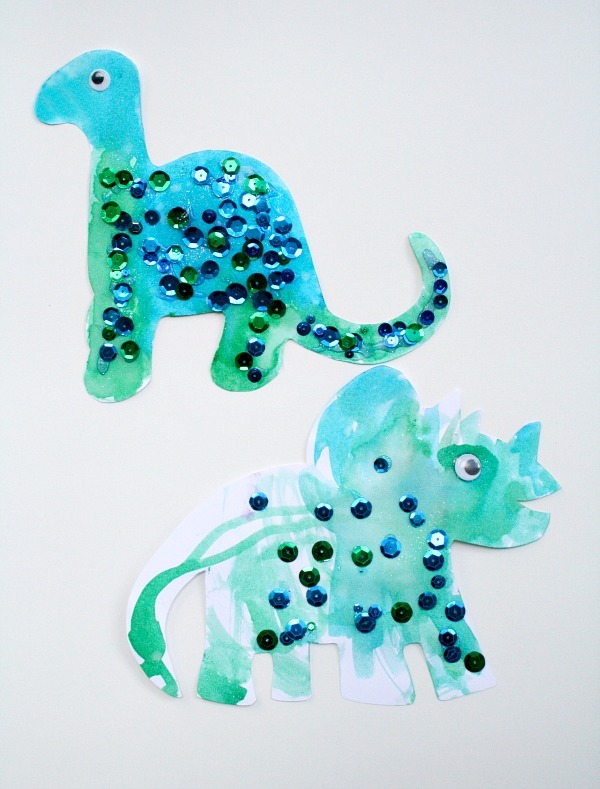 After reading some of our favorite dinosaur books we made this sparkly and easy dinosaur craft. 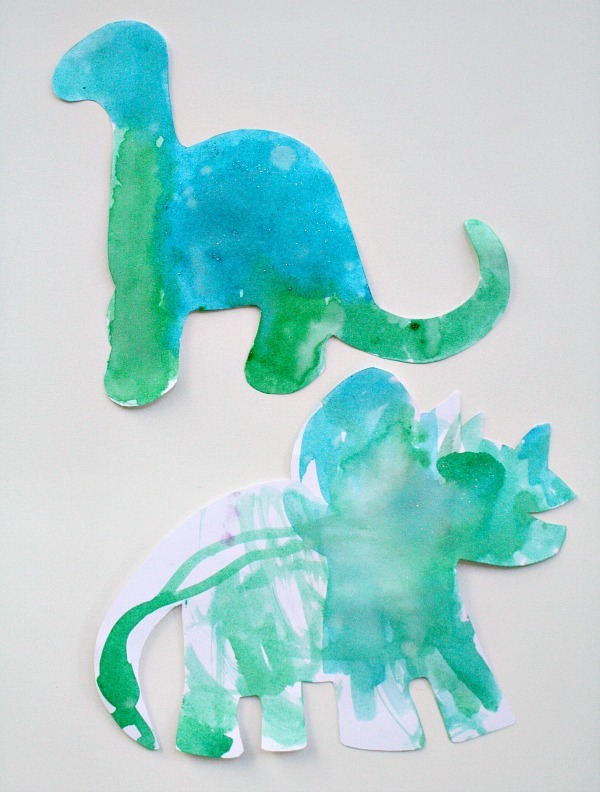 This easy dinosaur craft is perfect for toddlers and preschoolers, but kids of all ages can join in too. 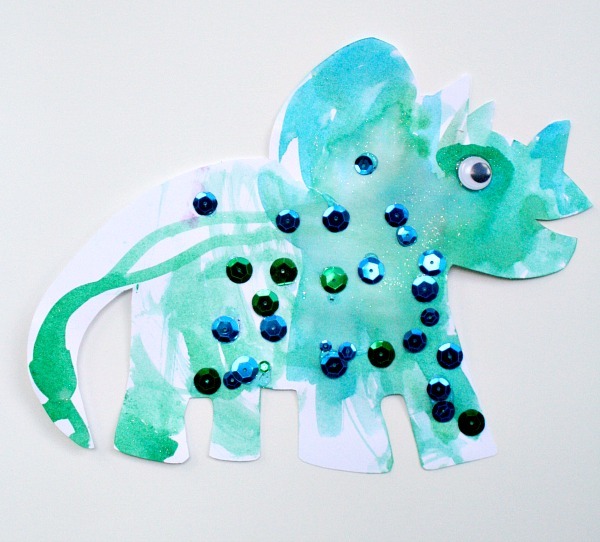 We start by creating a bit of dinsaur art with sparkly watercolors then embelish it a bit. 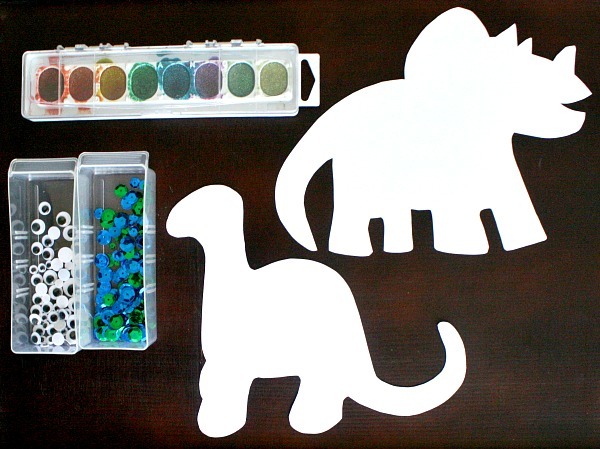 If you are looking for a quick but fun dinosaur art project, this is a great option. 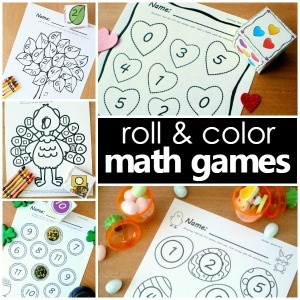 Check out the girl’s creations. 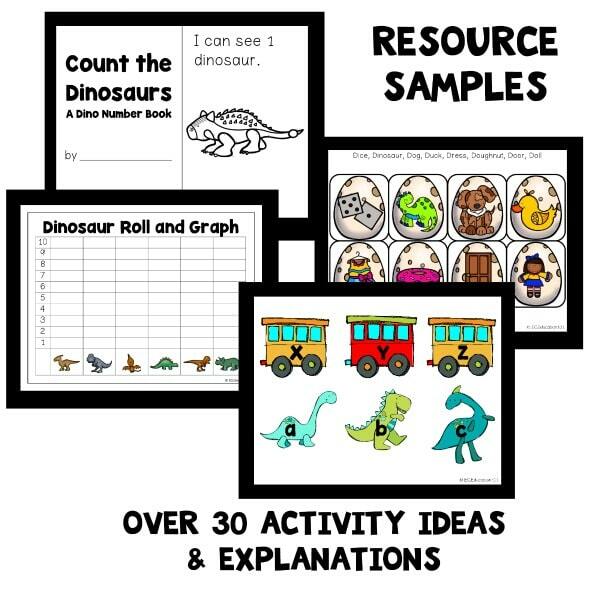 Then don’t forget to link up your dinosaur and fossil ideas in the linky below. 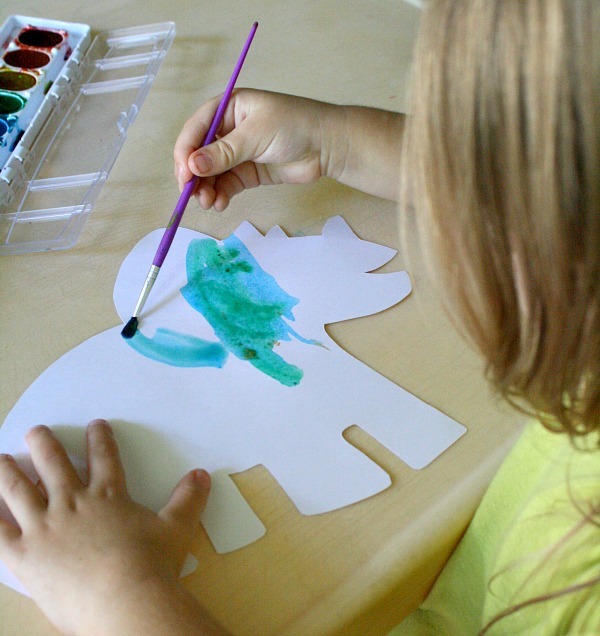 Both girls were excited to see the dinosaur shape sitting out on our craft table, and they started painting right away. 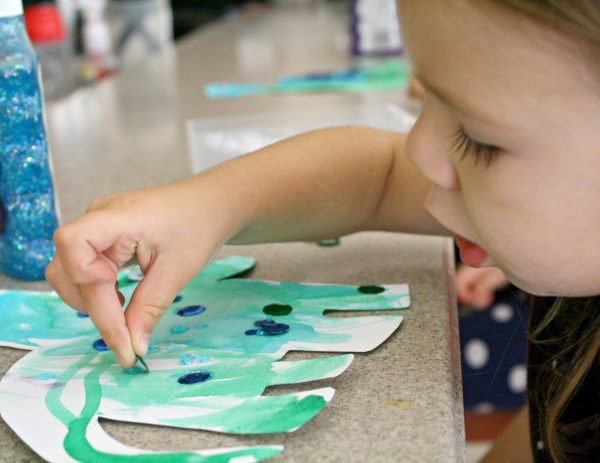 Once their dinosaurs were dry I set out the googly eyes, sequins, and glitter glue for the girls to begin decorating their dinosaurs. 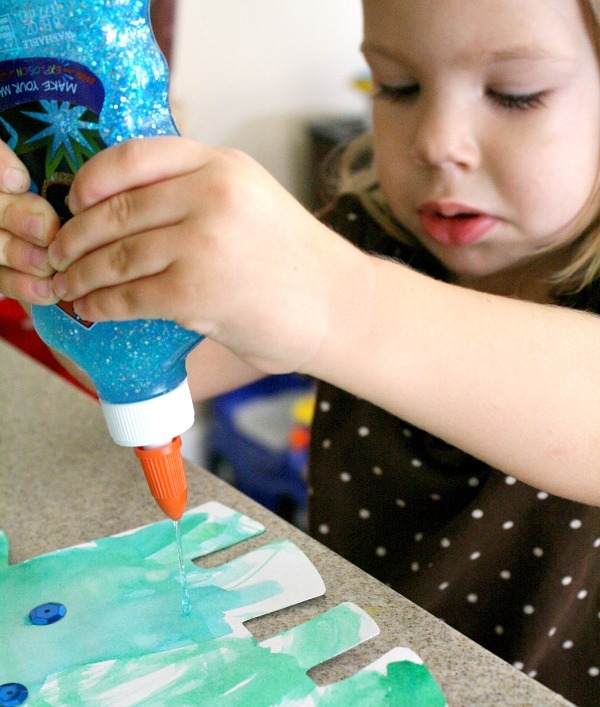 Squeezing the glue bottle and pinching those little sequins and googly eyes are both terrific ways for toddlers to strengthen fine motor skills. Tinker was especially proud of her finished dinosaur. 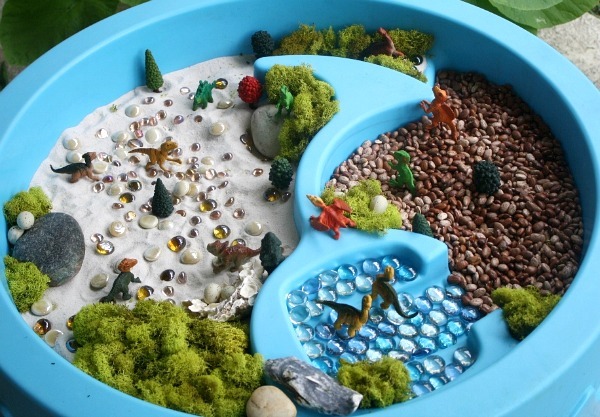 Lovey decided the dinosaurs needed a sparkly home to live in, so she decided that will be her next project. I love to see her coming up with her own creative ideas! Below are some of our favorite dinosaur books. Love your dinosaurs! Very cute!